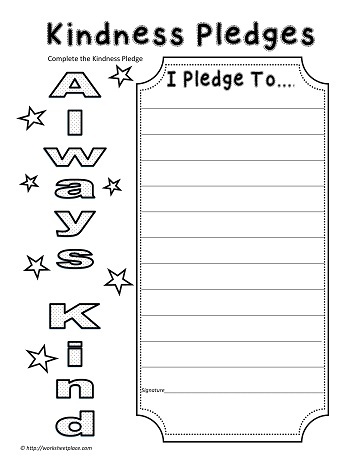 Write yourself a kindness pledge. For instance, I plan to be kind to my family every day and I plan to help others in need of help. I will remember to only say kind things.